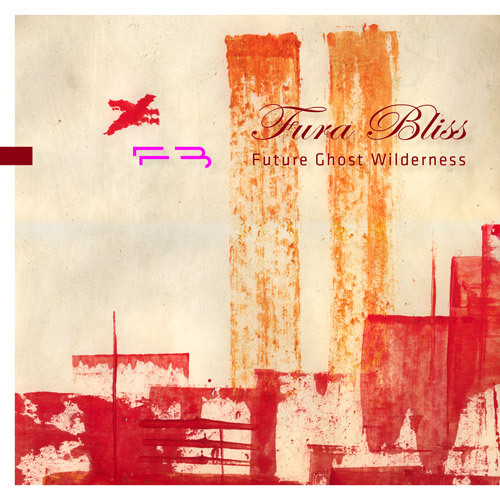 „Future Ghost Wilderness“ is the debut album of Fura Bliss, who started as a painter. „There always is sound when I´m painting and while composing there are always pictures emerging.“ This synesthesical character shows through all his aural movies. On top of the experimental approach he follows, which is audible in the surprising instrumental combination, there is the impression of following hidden screenplays of future movies. By closing your eyes you dive in an adventurous cinematic experience. You´re on a quest, not knowing what is awaiting behind the next curve. Fluorescing fragments of scenes, retina paintings of anti-gravity architecture or a wasteyard of rotten energy guns. But: „I´m not depicting science-fiction scenarios.“ Let´s say he maybe is recalling a feeling of what will be subconscious tomorrow.